The Secret is OUT - They're coming! | Life Love and Hiccups: The Secret is OUT - They're coming! OK so you have probably heard by now, (I for one, sure as hell have been hinting on Instagram and Facebook) - that Williams-Sonoma and their family of brands (Pottery Barn, Pottery Barn Kids and West Elm) are coming to Australia. May the 2nd to be precise and they will be occupying a large part of a beautiful building otherwise known as The Exchange Building, on the Corner of Oxford Street Mall and Grosvenor Street at Bondi Junction. Helloooo fellow shopping & home wares addicts - you are gonna be in heaven!!! I have been a huge fan for some time of Pottery Barn and have been known to spend way too many hours browsing their online store. My husband will also tell you I have entered my credit card details on the checkout screen far too many times for his liking. Well now I'll be able to pay cash and no one need be any wiser - not that I am encouraging sneaky spousal behaviour .... well not much anyway. So with this knowledge under my belt you can imagine just how busting at the seams I have been to tell you about my meetings with Baker Brand the PR company representing Williams-Sonoma in Australia. Well now the secrets out and with the opening day just around the corner I can freely tell you that I am going to be talking A LOT about these guys in the coming months. 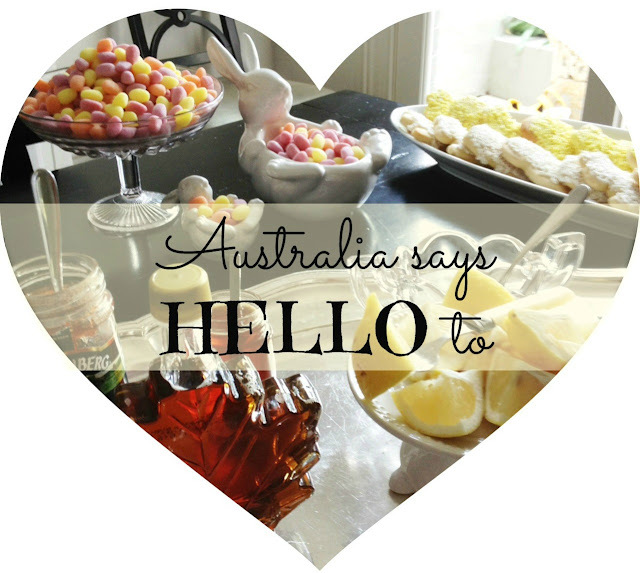 Let's start with last Friday when I was very fortunate to be invited as part of the Williams-Sonoma Australian Bloggy family to brunch at the most beautiful home in the inner city of Sydney. I have bruises on my arms from pinching myself people! This gorgeous home is owned by Tracy the Director of Baker Brand and it was recently featured in House and Garden Magazine. It was every bit as gorgeous as you would imagine that the home of the Director of The PR Company representing Williams-Sonoma would be. After refreshments in the beautiful terrace garden and an opportunity to go gaga over some of the gorgeous Easter range from Pottery Barn Kids, we moved inside to enjoy a delicious meal including the most divine Bunny and Chick shaped Chocolate Chip Pancakes. The table was decorated using some of the stunning items from the Pottery Barn and Williams-Sonoma range and of course I couldn't help but insist on taking a zillion photos before anyone was allowed to touch anything! Now this brunch by all rights should have been a diet catastrophe for me. But that's my plate above and considering all the beautiful food that was on offer, I was quite restrained don't you think? The adorably sweet Sprinkles, Sour Gummy eggs, Pancake Mix, Cookie mix, Mustard Making Kits, DIY Butter Kits and Cheese Kits can all be found online at Williams-Sonoma here. There was no stopping me as I drooled all over the exquisite decorations in this beautiful home and it would have been literally impossible to stop myself from taking some pictures for you guys ..... oh OK and some pics for me too. 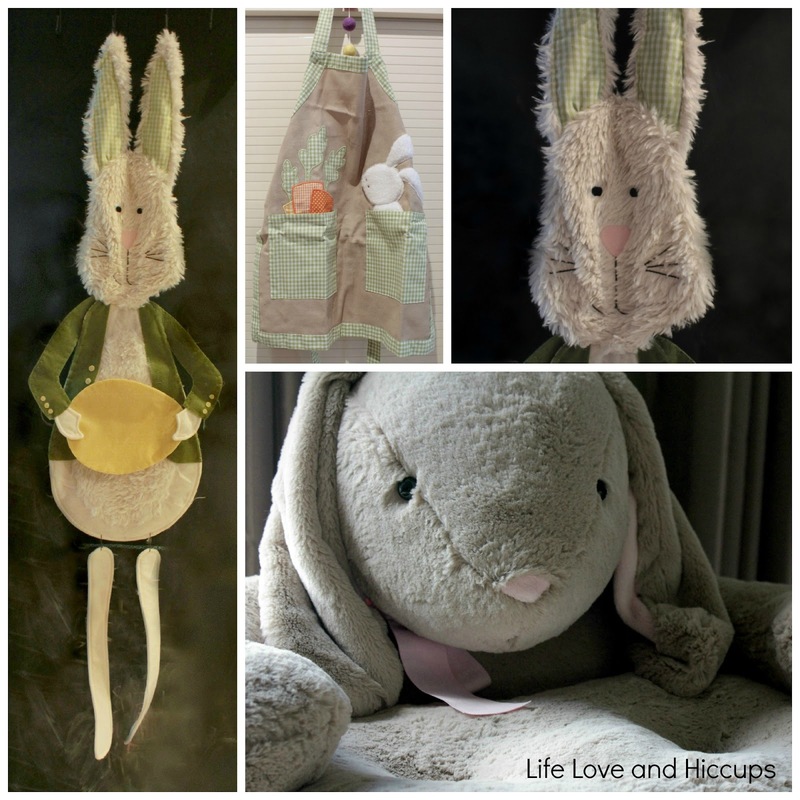 Now back to some of those gorgeous Easter products I mentioned earlier. You didn't really think I was just going to mention them and not show you some of them did you? And these adorable wicker ducks which I totally fell in love with and look rather at home on my kitchen bench, can be purchased online at Pottery Barn. Just check out this big fluffy bunny kids chair. I die! At least my kids did when they saw this and it became a bit of a take number to have a seat kind of situation. So whilst you have to wait just a bit over a month for Pottery Barn, Pottery Barn Kids, Williams-Sonoma and West Elm to open it's doors here in Australia, you can order online and have a lot of the stuff shipped to Australia. Pottery Barn actually have a deal at the moment where you can save 50% on Shipping charges. That'll keep the bean counters in your household happy! There you go - I can now breathe again that I don't have to keep the opening date a secret anymore and as I said earlier I will share more exciting news as things progress. So are you inspired to start squirreling away some pennies however you can for a shopping spree? Are you already a fan of the Williams-Sonoma brands? Did you ever see that Friends Episode where Rachel went Pottery Barn mad? Are YOU HANGING for May 2nd???? *Disclosure: I wasn't paid for my relentless gushing and the fact that I was gifted some items did not in anyway influence by utter devotion to these brands. By the way - Williams and Sonoma are hiring for their stores at Bondi Junction.